Fiona is a former Fèis Rois participant who returned home to Ross-shire to take up the post of Chief Executive of Fèis Rois in April 2009. Fiona graduated MA (Hons) Celtic Studies from the University of Edinburgh before going onto build a career in the arts in Scotland. 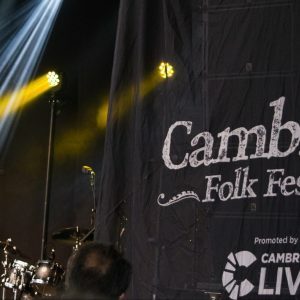 She has worked for a number of traditional music organisations, including the Edinburgh Youth Gaitherin, Lochgoilhead Fiddle Workshop and the Scots Music Group. 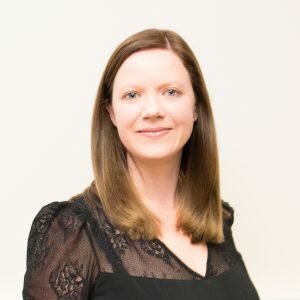 She has experience of the formal education sector through her time spent working as a Cultural Co-ordinator for the City of Edinburgh Council. 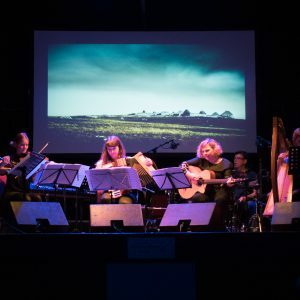 Fiona has been a specialist advisor (music) to Creative Scotland and a member of the Scottish Government’s Traditional Arts Working Group. She is former Chair of the Traditional Music Forum. 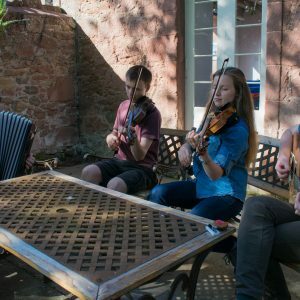 When she is not busy writing funding applications and organising events, Fiona enjoys playing with her band, Highland Ceilidh. Marion is responsible for the day-to-day finances of the organisation. 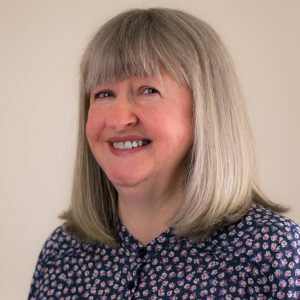 After several years working with the local enterprise company as a tourism training advisor, Marion undertook varied self-employed consultancy commissions including working with her local community as Community Economic Development Adviser. Additionally, she assisted small organisations throughout Ross-shire with budget and business planning. Marion has completed both a Certificate in Management and a Diploma in Small Business Financial Management. Rachael is the Education Manager at Fèis Rois where she manages the organisation’s schools programme. Prior to taking up this post at Fèis Rois in September 2010 she was the Artistic Director of Firefly Arts, a youth arts company based in West Lothian. Rachael started at Firefly Arts as a trainee drama workshop leader, before she went on to the roles of Associate Director for Education and then Associate Director of Youth Theatre. Through the Richter Foundation, she has facilitated theatre workshops across Europe as well as co-delivering training for European youth workers. 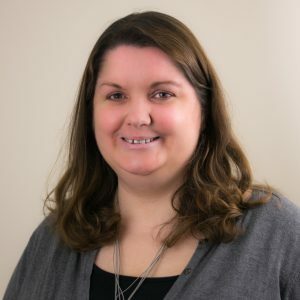 Rachael has a BA in Theatre and Media Drama from the University of Glamorgan and following the completion of her degree she became one of the first RANK foundation apprentices, where she was a youth worker for the RCDA Youth Service. Rachael was brought up going to the Gordon Gaitherin in Aberdeenshire, where she loved learning traditional music. Teya-Jean graduated from the University of Edinburgh in 2012 with an MA in English Literature and returned in 2014 to complete a MSc in Creative Writing. 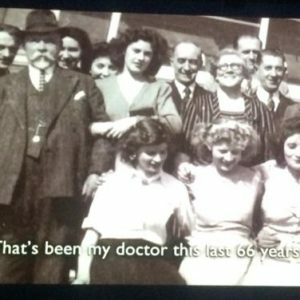 Her career in the arts was nurtured at Eden Court Theatre, where she assisted the Creative department for two years in a role that taught her everything from how to write a Rabbie-Burns-themed murder mystery from scratch, to composing and playing a live score for a theatre production for Under 5s. In early 2019, she migrated back to her roots in traditional music and joined the Fèis Rois team as the Community Classes Coordinator. 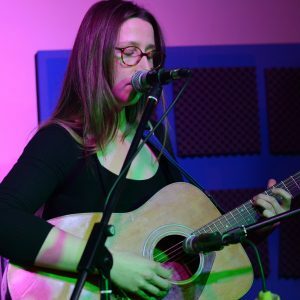 As a folk singer-songwriter herself, Teya-Jean can be seen gigging around the Highlands and is also a fledgling writer with a little poetry and short story success. When she’s not tuning her guitar, or zipping around Ross-Shire with various instruments in her Mini, she can be found scouting the local hills with her dog, Limòn. For almost 30 years Lara has worked within the arts and music industries in a variety of settings and sectors through which she has gained an extensive set of skills and an understanding of the many elements involved in development, planning, administrating and delivering of projects, events, tours, workshops, networks, conferences and festivals. 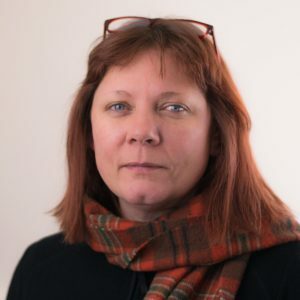 She has worked for many organisations such as Faultline Festival (Inverness), Capercaillie, Showcase Scotland, Hi-arts, The Traverse Theatre, Dogstar Theatre, Aly Bain & Phil Cunningham, Blas Festival, Blazin’ in Beauly, Firefly Prodcutions and Eden Court Theatre amongst others.